Will this be good for the Spurs? According to Adrian Wojnarowski of The Vertical, The soon to be 37-year-old forward veteran is looking to opt out of his $16.2 million contract for the 2017/18 season. 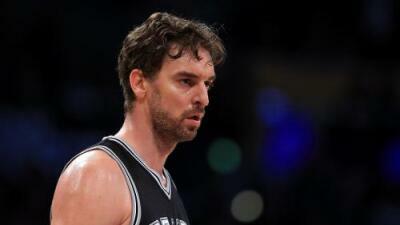 Pau Gasol has decided to enter the free market as well as to negotiate with the San Antonio Spurs for a longer contract at a reduced salary. The Spurs are also looking at other free agents around the league to come play for the team. In the 2017 season, Gasol averaged 12.4 points with 7.8 rebounds. We also got word that David Lee will be opting out of his $1.6 million contract as well.